You’ve got to love June! Flowers are blooming, song birds have returned, and blue skies mean summer vacation is just around the corner. June is also National Dairy Month, when we are all reminded to thank our dairy farmers and take advantage of the numerous benefits of drinking milk and eating cheese. The USDA’s dietary guidelines recommend consuming three servings of dairy every day. Dairy offers nine essential nutrients including calcium, vitamin D and potassium, all vital to the well-being of both children and adults. Dairy also plays a key role in preventing heart disease, diabetes and osteoporosis. National Dairy Month is also a great time to celebrate our area’s rich dairy heritage. The nation’s very first cheese factory was built in Rome by Jesse Williams in 1851. A dairy farmer himself, Jesse had been making cheese from his own milk and decided to expand, purchasing the milk from his son and other area farmers. In his first year, he was able to make five times the amount of cheese made on a typical farmstead at that time. Fellow dairymen came flocking to see how he did it. Within 15 years, there were over 500 similar cheese factories throughout New York State! Little Falls can boast of its rich dairy and cheese heritage, too, thanks in no small part to the Burrell family. In the beginning of the 1800’s, the Burrell family operated like many area farmers—milking their cows and making farmstead cheeses. Harry Burrell (father to the famous D.H. Burrell) decided to consolidate his cheese and butter with fellow area farmers and ship it to New York City to be sold. His son D.H. Burrell made a name for himself by either inventing or perfecting many of the systems and machines used in dairy production, including the first centrifugal cream separator, pasteurizers, butter churns, coolers, cheese presses, milking machines, and silos. But do you know why June is National Dairy Month? June was first made “National Milk Month” back in 1937 to promote drinking milk and thus stimulate demand during peak production. The goal was “sales, not surplus,” meaning dairy farmers were producing more milk than was being consumed. As sweet as the tradition is, and as much as I love dedicating a whole month to thanking dairy farmers for all that they do, it seems rather antiquated. For after nearly 80 years, dairy farmers still experience times of surplus milk and low prices. In fact, for the last 12+ months, prices have not covered the costs of making milk. When prices are this low for this long, every dairy farmer is putting off bills as long as they are able: skipping payments to the feed dealer, the minerals guy, the fuel provider. Furthermore, dairy has one of the highest debt loads of all the agricultural businesses. When you consider that 98% of dairy farms are family-owned and operated, you can begin to appreciate the stress these families are experiencing. Every farm wife I know that manages the checkbook has had little to smile about in a long, long time. My limited experience in dairy was truly humbling. 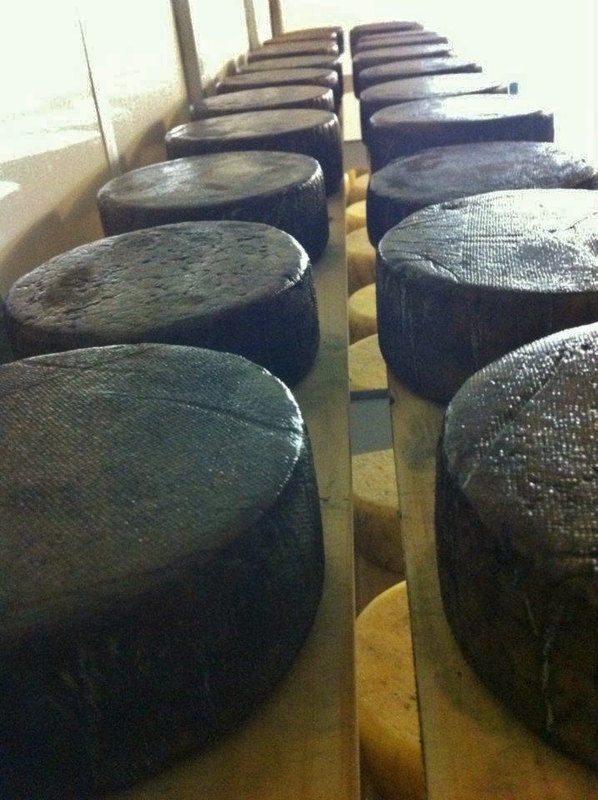 On our farm, we milked for a very brief time and were able to make only a meager amount of cheese. We quickly realized our strengths and our weaknesses—and making milk was certainly the latter. We were thrilled to find dairy farmers that not only make beautiful milk, but were willing to work with us. Because our cheese and gelato business is entirely dependent upon these farmers’ continued success, we pay whatever price they set for their milk, based on their costs and needs as a business. Because of this experience, and because we know and love so many dairy farming friends, I’ve long admired the “Fair Trade” label you often see on chocolates or coffee. As a farmer, I appreciate the recognition that the woman growing coffee or the man cultivating cacao needs to make a living, that their ability to feed and clothe their children while feeding others is a basic right that processors, retailers, distributors and consumers can all support. I often find myself wishing dairy farmers could get a similarly recognized “fair trade milk”—a price not based on government formulas and the turbulence of the commodity market, but on the quality of their product and the need to make a basic living. I actually contacted Fair Trade and proposed the idea that processors could sign up for a program that set a minimum, fair price for quality milk in exchange for using the logo. I thought surely it would be a game-changer for dairy farmers. Sadly, Fair Trade told me there are simply not interested at this time. The challenges our dairy farmers face are complex, but there are small ways we can help them every day. I invite you to join the Mohawk Valley community in thanking farmers, consuming more cheese and celebrating our area’s rich history by attending the Little Falls Cheese Festival on Saturday, July 9th from 10am to 5pm. The festival takes place on Main Street in Little Falls and features over 20 artisan cheesemakers from the area, along with other gourmet food producers. We (Jones Family Farm) will be there with a variety of cheeses, gelato and sorbetto. You’ll be able to meet farmers like the Atwells of Grassy Cow Dairy in Remsen or the Gaughan family of Windy Hill Goat Dairy in Cherry Valley that make cheeses with milk from their own animals. These farmers are carrying on a very long tradition of farmstead cheese production. You’ll also be able to meet cheesemakers like Cooperstown Cheese Co. and Three Village Cheese Co. that buy their milk direct from the farmer, much like Jesse Williams did in 1851. These makers, too, carry on a long tradition of working closely and directly with the dairy farmer. It will be a great day for celebrating and enjoying one of the Mohawk Valley’s greatest gifts: dairy. And you’ll get to eat lots and lots of cheese! For more information: littlefallscheesefestival.com or find them on Facebook.